Welcome to Keota Healthcare Center. 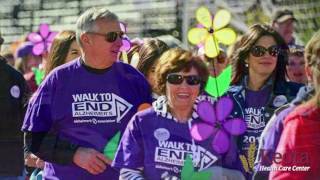 We are dedicated to serving individuals through all stages of dementia. Our focus of ‘Living Well with Dementia’ centers around a safe, small and comforting environment featuring specialty areas and rooms dedicated to all stages of the Dementia process and providing stimulation and comfort in a home-like environment. With all staff specially trained and certified in Dementia care, our program and environment allow Residents to remain active in a safe environment. Our facility features include a Nursery, Music Room, Community Room, Life Station areas and more. Your loved one can maintain their individual abilities through interactive programming and support. Along with our specialized programming we operate entirely under our motto of Residents First with everything we do. It is our goal to meet the needs of each resident while maintaining their privacy, dignity and integrity. That’s why we our philosophy is Residents First! At our foundation, we are a skilled nursing facility offering quality rehabilitative care as well as excellent long-term care. We recognize how important it is to select the right health care option to meet your individual needs. 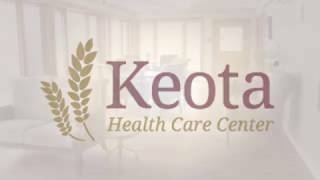 Keota Health Care Center has the programs and support services to assist you and your loved one as their care needs increase or decrease. I get tremendous care here. The food is good and now it is fixed up with nice surroundings. There are a lot of fun games that we play that makes the time go by fast during the day. I really enjoy being here. Friendly people work here and I would recommend this place to anybody who is looking for a nice place to call home. My mother is in your facility and is receiving wonderful care. We have been working with the staff and now with hospice workers and care couldn't be better. In fact, a hospice worker said the smiles of the staff and positive environment are amazing. My mother is Thelmae Bell(96 years old) and I am her son Doug. Thanks again to the great staff here.